The Morris James Personal Injury Group is comprised of six partners: Susan D’Alonzo Ament, Keith Donovan, Kevin Healy, Francis (Pete) Jones, Clayton E. Bunting, Michael G. Owen and associates, Reneta Green-Streett and Wilson A. Gualpa who have a combined total of over 150 years of legal experience dealing with litigation related to motor vehicle accidents. Our Personal Injury lawyers practice in all Delaware Courts. Certain members of our Delaware personal injury lawyers group are admitted in Pennsylvania and Maryland. Two of the Morris James Personal Injury Group partners, Pete Jones and Keith Donovan, originally started their legal careers as defense attorneys for automobile insurance companies but realized they were much happier representing injured victims (victims of automobile accidents and victims of insurance companies). They were called upon by well-known insurance companies to represent them in court and provide legal advice. Mr. Jones and Mr. Donovan bring to the Morris James Personal Injury Group a wealth of inside knowledge as to how our current insurance company opponents think and act. Our Delaware personal injury lawyers have the knowledge to anticipate an insurance company’s next tactic before it occurs and arm our clients accordingly. Our attorneys, because of their knowledge, take a proactive approach as opposed to reacting defensively to fully protect the rights of those we represent. The Morris James Personal Injury Group attorneys not only litigate, we counsel. We believe our effective Delaware personal injury lawyers must keep each and every client well informed and advised throughout each phase of their case. In addition to legal knowledge, we believe compassionate effective communication skills are vital to the attorney/client relationship. Our attorneys are good listeners and all attorneys and their staff respond to client inquiries promptly and respectfully, whether that inquiry be by telephone, e-mail or in-office visit. Our Delaware Personal Injury lawyers are very active outside the practice of law in community service, having been appointed to many church and community service organization boards. The compassion, understanding and respect they feel towards clients in the office, also drives them to serve their community and others in need. When an attorney at Morris James represents you, there is more than an attorney/client relationship formed. There is a personal bond. 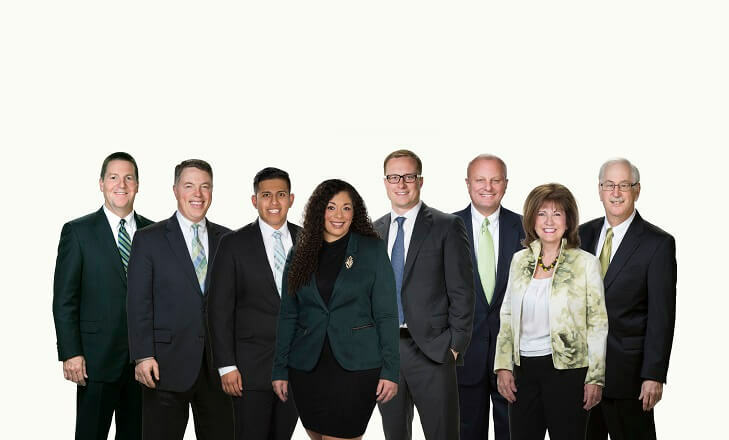 Our car accident and injury attorneys want to get to know each client in order to be able to effectively communicate and demonstrate the impact your injuries have had on all aspects of your life. For example, we need to understand how the accident and injuries impacted your life, such as pain and suffering, loss of earning capacity, substitute services that were needed, and, loss of consortium. We know from our past clients’ comments that they benefit from having the advantage of over 150 years of legal experience; the knowledge to anticipate insurance company maneuvers, knowledge of police investigation procedures; and most importantly caring professional attorneys who have a personal relationship with each client. We have resolved thousands of cases over the years through negotiation, arbitration, mediation or trial. We are pleased to report that the majority of our new clients are referred to us by satisfied existing or past clients. We think that shows just how hard each attorney and their staff work to gain the highest level of confidence of every client. The Morris James Personal Injury Group has the resources necessary to litigate significant injury/death cases. The Morris James Personal Injury Group is part of a large law firm. Morris James LLP celebrated its 75th anniversary in 2007.